This is a version that you don't often see! 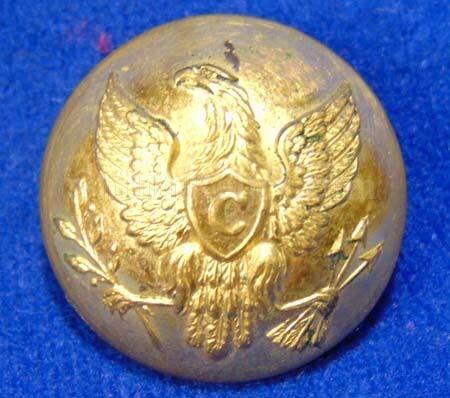 It is a great looking original 23mm version coat size Civil War Cavalry Eagle "C” button. 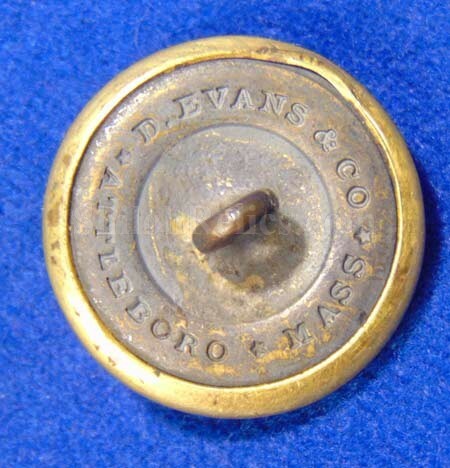 This is the button that would have gone down the front of a Cavalry Officer’s coat. The eagle on the front of the button has the "C” in the shield that denotes the Cavalry branch of military service. As you can see this is the distinct face variation that was only made by Robinson and Evans. This style is unlisted in Albert's button book and as CV222A1 in Tice's button book. It has beautiful color to the brass on the face and the back has the correct Civil War D. Evans backmark. 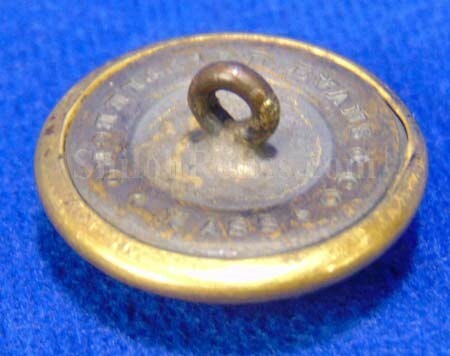 This is a very nice looking Civil War Cavalry coat button.